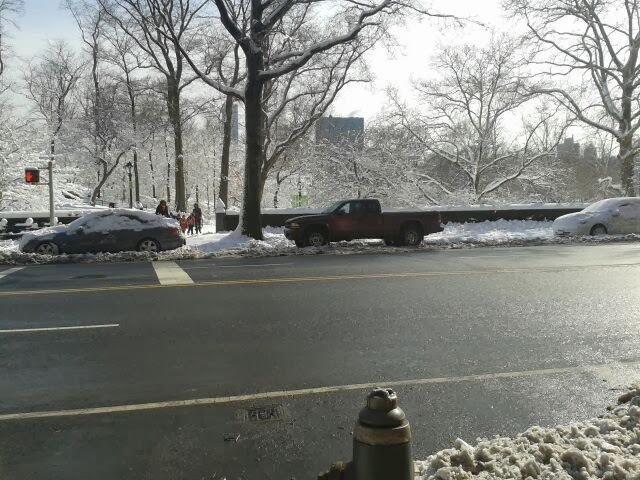 Kate's pick-up (named after Dean Moriarty in On the Road) outside Central Park on 4 Feb 2014. As she wrote on Facebook, "After a day of doing home visits and wheelchair deliveries on the back roads of Manhattan, the Bronx and Throggs Neck I must say Dean did his job yet again. He deserved a nice view of snow covered Central Park..."